To the school employees reading this: how bored are you every day? Okay, I’ll give you a couple of sentences to react to that patently absurd statement. This sentence is a placeholder so you can laugh bitterly. This one is for any sort of amused scoff or rueful chuckle you’d like to use. Okay, ready to get back to the article? How many of you think that your security team (if you have one) or potential security guards (if you don’t yet) would rarely be bored on your campus? At the very least, would they be able to find enough tasks to occupy themselves through a full shift? Or is it more likely that eventually, they’d fall prey to the allure of the supercomputer in their pocket? If you’re struggling to assign your security team tasks beyond “be friendly and alert” or “stay off your dang phone”, read on. We’ve put together a quick list of the five things a good security team should do every day. Learn At Least One Name: Obviously, a security guard is the first line of defense on your campus. But your school isn’t a military base, it’s a community. Your security guards will be the first people anyone coming on campus will interact with. This means they will need to have excellent customer service skills when dealing with parents, vendors, and other visitors. For faculty and staff arriving on campus every single day, ask guards to learn one name a day. This ask is small enough to be achievable, and will eventually integrate guards into the school culture effectively and naturally. Don’t Get Too Comfortable: As we just mentioned, there will be people on your campus every day who guards will avoid bothering too much. Faculty and staff should become recognizable fairly quickly to a sharp team. It’s important that this attitude isn’t applied across the board. Guards need to know that they are expected to (politely!) approach anyone they don’t recognize on campus and ask them (politely!) what they are here to do. Keep an Eye on Traffic: Many of our partner schools deal with limited space for cars on their campus. Security guards are an excellent resource to apply in your parking lot. They can cone off spaces for faculty or administration that always seem to disappear, keep the flow of traffic moving during arrival or dismissal, and make sure that the limited space you do have is maximized to fit as many vehicles as is safely possible. Even if your traffic situation is a bit simpler, guards can still be aware and ensure that there remains space for emergency vehicles to arrive and park at all times. Write Daily Reports: Some security providers require that their guards produce Daily Activity Reports, or DARs. This is an accounting of each guard’s observations, usually broken down by the hour. In the case of a reportable incident, a security guard’s contemporaneous account will be extremely valuable. School administrators, still unable to be everywhere at once, can have a reliable account of goings-on they may have missed during the day. When it comes to dealing with incidents, the more details available, the better. Patrol, Patrol, Patrol: Depending on the size of your security team, this task can shift in scope and frequency. It’s good to have visible security circulating on your campus when possible, and if your team is doing well at the other tasks on this list, it shouldn’t be too jarring to see friendly faces patrolling around. Some of our partner schools rely on guards to patrol both indoors and out, while others prefer for them to remain on the perimeter. Either is fine. In both cases, guards should know the territory they observe like the back of their hand. Patrolling familiarizes them with locations they may be dispatched to in case of an incident. As a visual deterrent, information gathering exercise, and mental stimulant (walking around keeps us sharp! ), there’s no substitute for a good patrol. What Equipment Do School Security Guards Need? Why Hire On-Site Campus Security? 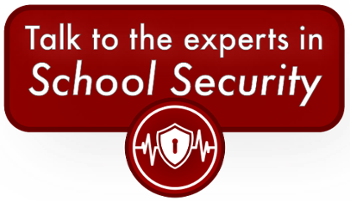 To learn more about how Joffe provides the friendliest, sharpest guards in the nation to our partner schools, click the button below!